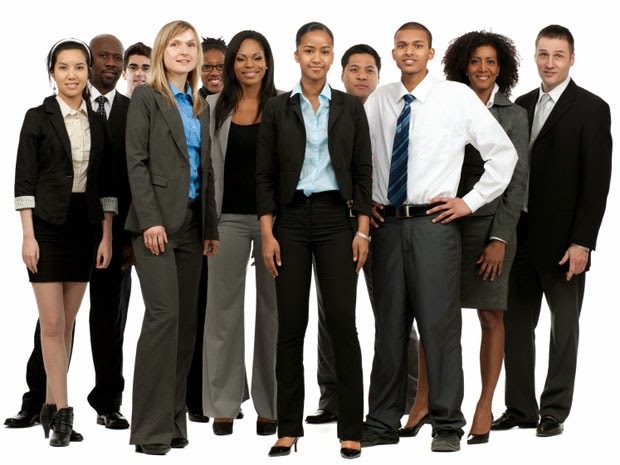 As the country becomes increasingly diverse, so also do our workplaces. As a result, businesses are experiencing new benefits from diversity that is impacting nearly every industry. Some of the advantages of a more diverse workforce include increased innovation, strategic targeted marketing and overall effective corporate leadership. Businesses that accept and embrace diversity are at a distinct advantage in an ever-evolving cultural landscape. As we celebrate diversity this month as a key theme of our 150th anniversary, it is important to understand the benefits of embracing the diverse workforce. One of the biggest benefit companies are now experiencing is a drive toward innovation. Because diversity brings together different people with unique backgrounds, skill sets, and perspectives, it naturally fosters innovation. Businesses that have diverse, problem-solving teams become more competitive with an innovative edge. When companies employ like-minded people to do only repetitive tasks, they lose creativity and innovation. Problems get solved when people from varied backgrounds examine things from a different perspective. This different experience also means that employees can appeal to diverse customer experiences. The primary driver of innovation is people; so getting the right people in the beginning is key to successful innovation. Companies that truly value diversity start by recruiting and targeting a diverse candidate population. Initiatives such as diversity job fairs on local college campuses are a great way to take advantage of the large applicant pool of diverse talents. Businesses are not just limited to college campuses. There are more avenues than ever to recruit employees from a variety of backgrounds. If an organization has genuinely embraced diversity, they are naturally looking to recruit from a larger talent pool. Organizations that draw from a larger talent pool are better positioned to attract, find, and select the best candidates to fill key positions. As employers embrace a wider variety of qualified professionals, the firm’s human capital naturally increases. There are more women and minorities in a broader range of corporate roles than ever before. These diverse professionals are entering the labor force at historic rates, which in turn contributes to a renewed entrepreneurial spirit resulting in more value for their organizations. The modern workforce is changing. More millennials comprise a larger share of the workforce. Millennials as a whole are known for embracing diversity in all areas of their lives, including work. As millennials move into higher positions diversity will become a priority especially in recruitment initiatives. This younger generation will gravitate towards companies that share their beliefs and value diversity. Marketing in the 21st century has taken a dramatic shift. The nation’s population has become more culturally diverse which has resulted in new marketing approaches. Businesses must understand and embrace diversity in order to successfully market to the 21st century consumer. Companies that have marketing teams with employees reflecting the new multicultural consumer can reap the benefits through product branding, consumer recognition and beyond. In today’s environment, it’s essential for companies to truly understand their customers and be able to relate to them. It must go beyond surveys. It requires thinking like the consumer. This means employing people who are representative of that customer’s culture, gender, or background into decision-making positions. This is necessary not only to understand their customers, but also to understand the broader culture of their customers. America has become more diverse in our culture and values. This is a trend that will only increase over then next few decades. Businesses must recognize this shift and change to thrive in a new diverse era. Organizations must operate in a global marketplace while recognizing and capitalizing on the value diversity brings. As the physical barriers to communication disappear the benefits of diversity will continue to make a significant impact. Organizations who truly embrace diversity, from recruitment to marketing efforts and on every level of the organization, will yield the largest returns. To learn more diversity at Peirce College, please visit our Diversity and Inclusion page for more information, resources, and upcoming events.